Central Park has been announced as the home of Rugby Free Primary School, which is due to open in September. The two-storey ‘iKon’ building is described as offering high quality, flexible accommodation across two floors with an exterior space suitable for early years and a playground. Lead proposer Tom Legge said: “At over 25,000 sq feet, this spacious building offers all the room we need for the 420 children who will eventually occupy the school. “Discussions are in progress with the Education Funding Agency about approving a separate nursery in its own area of the building, which will benefit parents with younger children. We plan to offer before and after-school timings to enable parents with children at the school and nursery to drop off and collect siblings together – from day one of opening. Free schools are independent, state-funded schools which have the same legal status as academies. It will be non-selective and free to attend. The school announced in December that Susan Milewski, currently deputy headteacher at the ‘outstanding’ St Elizabeth’s Primary School in Coventry, will start in post as the new primary school’s headteacher after Easter. Rugby Free Primary School hopes to open with an initial intake of 60 pupils in the reception year. It has already reached full subscription for the two reception classes due to open this September. 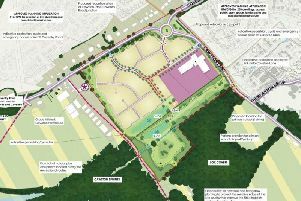 The school plans to provide an additional 420 primary school places for the area by 2021. To find out more about the school, visit www.rugbyfreeprimary.co.uk/register.